reflects the sleek, minimalistic design of Erik Magnussen, which he has shown in so many of his other products designed for Stelton. 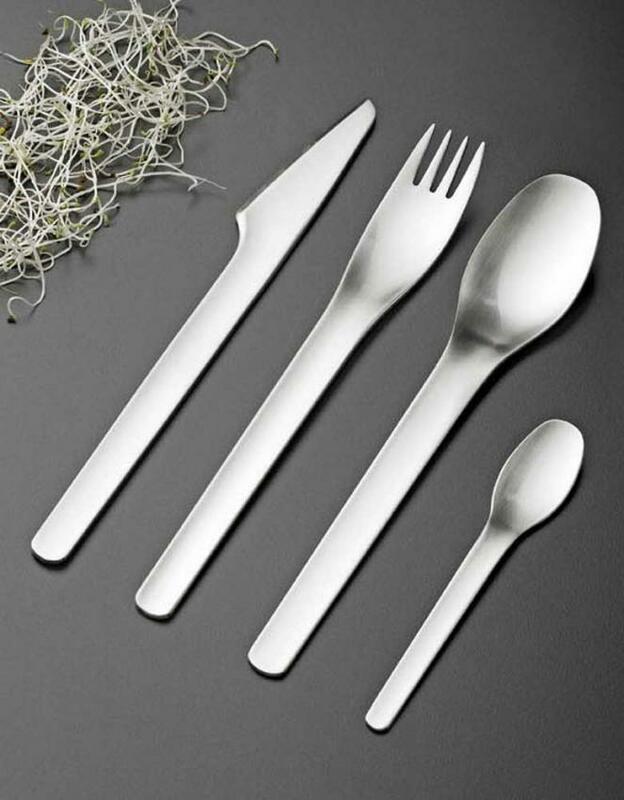 Its satin-polished stainless steel surface and modern styling with a slight concave curve incorporated in its design gives it its distinctive note among cutlery patterns. Stelton EM accentuates the very best of Scandinavian design in an astounding simple way. level of combining functionality and design in such a perfect symbiosis as Erik Magnussen did when he created Stelton EM . monobloc. Monobloc knives are made out of one piece of chrome steel free of nickel. With these knives no joint is visible between blade and handle. Stelton EM in stainless is matte. 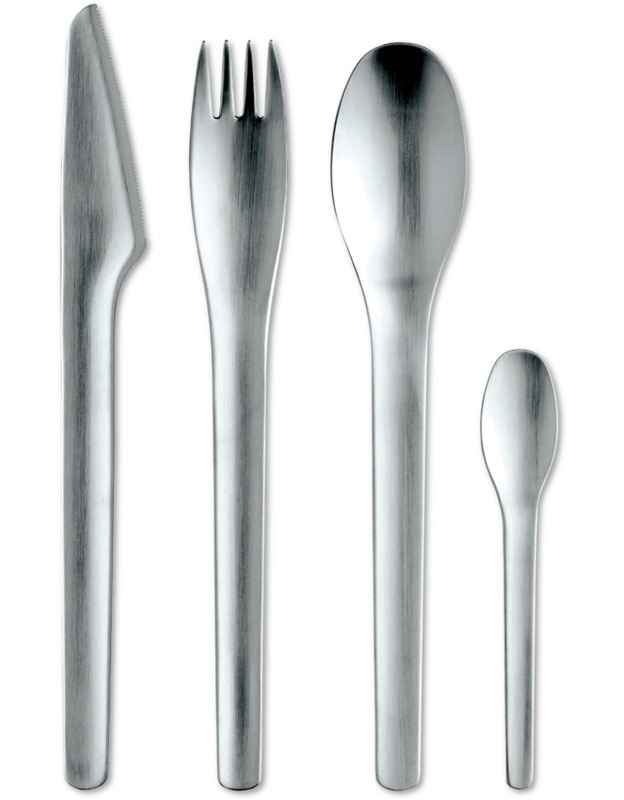 The functional, appealing cutlery has only some additional parts: from table knife monobloc to coffee spoon, from coffee spoon to table spoon .